Repeatedly injecting billions of rupees may seem impressive, but there are many pitfalls to learn from. At the end of March, Prime Minister Imran Khan announced a Karachi package that included 18 projects with a cumulative outlay of Rs162 billion. Ten projects are related to the public transport sector while seven are related to water supply and sewerage infrastructure. He also announced the launch of master planning exercise for the city. Addressing the Prime Minister’s Karachi Transformation Committee that functions under the Sindh governor, the premier emphasised defining the city’s boundaries on scientific basis to stem undesirable sprawl. He stressed increasing building densities to accommodate more people per unit area. In addition, the prime minister promoted the idea of water conservation. If one goes by the track record of ‘packages’ announced for Karachi by different governments in the past, Karachi is indeed most fortunate. Also read: Does Karachi benefit from the 18th Amendment? From Benazir Bhutto to Shahid Khaqan Abbasi, each chief executive of the country came to the rescue of the metropolis by way of making substantial financial allocations from time to time. Thus, from Rs29 billion by General Pervez Musharraf in 2003 to Rs25 billion by Abbasi in 2017, the recurring consistency of such announcements and the focus on large-scale development projects for the city seems impressive. The core question, however, remains whether the city has shown signs of improvement in performance, livability and governance as a result of these cash injections. This matter requires a thorough but dispassionate review. For a long time, transport has been the main sector of urban development which has caught the attention of federal and even provincial governments. Construction of underpasses along Shaheed-i-Millat Road, Bus Rapid Transit corridors along various lines at an anticipated cost of over $220 million and revival of the Karachi Circular Railway are a few prominent mentions from ongoing works. 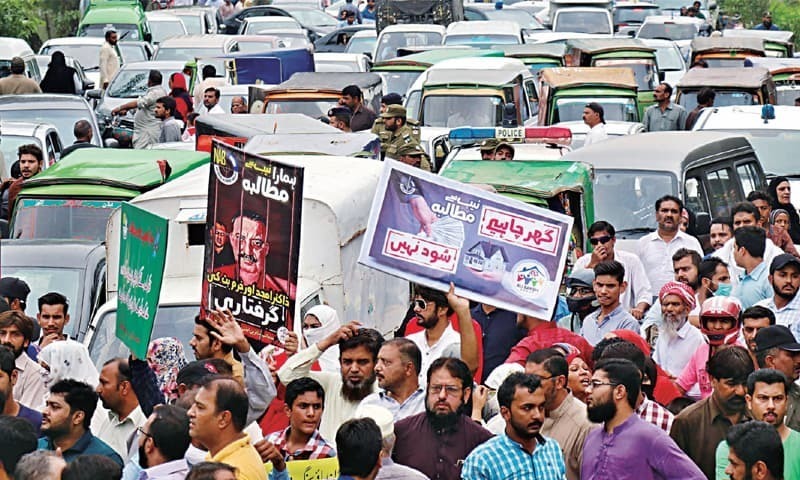 From time to time, the federal and provincial regimes attempt to keep the old schemes or proposals alive, perhaps to retain public interest. Grand schemes in bulk water supply also become a source of public attention. For example, the massive Greater Karachi Water Supply Project (K-IV) — aimed to add 650 million gallons per day (mgd) — is religiously included in all package announcements for Karachi. Talks about reviving the planning exercise are held at every worthwhile forum without making the necessary headway. It is obvious that the nature, scale and magnitude of problems faced by Karachi are very different and consequently require an objective and sustained response from the perspective of urban and regional planning. Issues pertinent to transportation and commuting have become extremely acute with the passage of time. The exponential rise in numbers of cars and motorcycles, limited road space, quasi-centralised work locations that invite uni-directional peak flows of traffic, limited choices for passenger transit, inadequate parking facilities, high scale peri-urban growth and absence of a genuine mass transit system are a few grave realities. It is important to note that passenger transit is a public service which does not possess the capacity to generate profits, even in developed countries. In some cases, it can’t pay back its own capital cost. Some appropriate measure of subsidy is unavoidable and this investment is accounted as a catalysing factor for raising productivity. It is, however, disappointing to find that most transport-related projects presently conceptualised or under implementation do not address the heart of the problem. For example, underpasses and flyovers do not prove to be useful in a traffic corridor where vehicle numbers continue to increase. 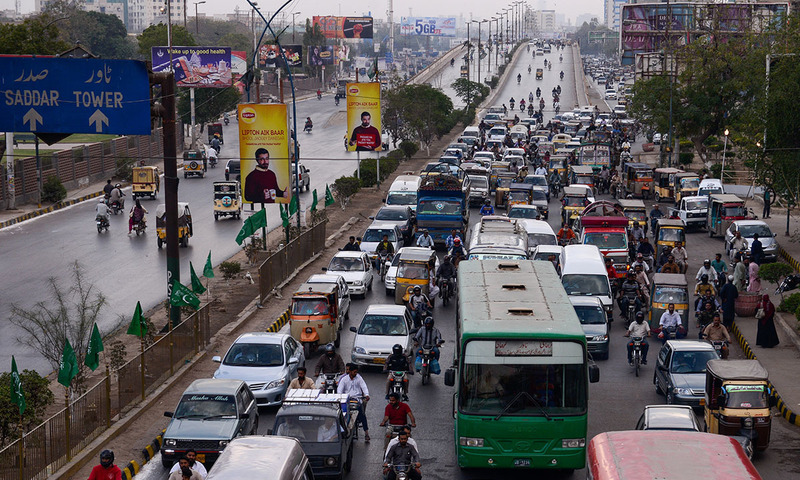 Current transport planning and management for Karachi is in need of some bold and corresponding approaches that more effectively address the set of problems facing the city. For a short-term strategy, the creation of appropriately-located and sized inter- and intra-city bus terminals, the timely dualisation of Karachi Northern Bypass (included in the current Karachi package) and the planned relocation of warehousing and inner city wholesale markets, route realignment and consequent management of public buses and mini-buses, capacity-building of qingqi and large rickshaw operators and the signalisation of major intersections and junctions must be carried out as the first step on an urgent basis. There is no denying the fact that Karachi requires more bulk quantities of water supply, but enhanced quantities will make little difference without addressing some prerequisites. The crucial issue is the poor state of the distribution system. Destroyed water mains, leaking distributors, aging installations past their prime, illegal branch connections and the harmful coexistence of water and sewerage lines are the core concerns. The rehabilitation of pipe networks at the district level — and below — is an urgently required intervention. Survey and analysis of the existing network needs to be a top priority at the union council level. A demand analysis of water consumption patterns must be done to forecast and estimate future needs. Quality control of water supply is also crucial. Health guidelines should be followed with the objective to supply safe water to target areas. It is useful that the present Karachi package has a drinking water facilitation project — but before embarking on this project, the government must draw lessons from the Musharraf-era Clean Drinking Water Initiative. It worked well in cases where ownership and management were effectively acquired by the local community. One can still find several drinking water filtration plants in district South and elsewhere that provide potable water to residents at little or no cost. A water management plan must be prepared to ensure uninterrupted supply on a periodical basis. In addition, the Karachi Water and Sewerage Board must make efforts to raise its revenues by recovering long-standing arrears and instituting fresh charges. Tariff revisions must be based on rationalised supply costs and consumption profiles. The Karachi Strategic Development Plan 2020 was finalised in 2007. The period assigned for its completion concludes next year, yet it remains largely unimplemented as it was not given legal and statutory cover. While there is no denying the importance of a city plan, it must be viewed as an ongoing exercise rather than a one-time, project-based commitment. It may be understood that a city plan provides the overall vision for city growth, development and management. It is process-based, whereby the sequence of outputs is generated periodically to guide the functions of government. It is finalised through a consultative process where all stakeholders are invited to share their views on the presented options. It must be provided legal cover to ensure smooth development along various sectors, and above all, it cannot become meaningful without the existence of an autonomous and potent planning agency, with adequate staffing and working mandate. If the prime minister wishes his Karachi package to be different and more effective from those of the past, he must task his team to begin a consultation process with the provincial government and other institutional and non-institutional stakeholders for moving ahead in finalising and implementing the initiatives announced. No matter how politically difficult and awkward it may sound, this is perhaps the only way forward to achieve a real success. The writer is chairman, Department of Architecture & Planning, NED University, Karachi. 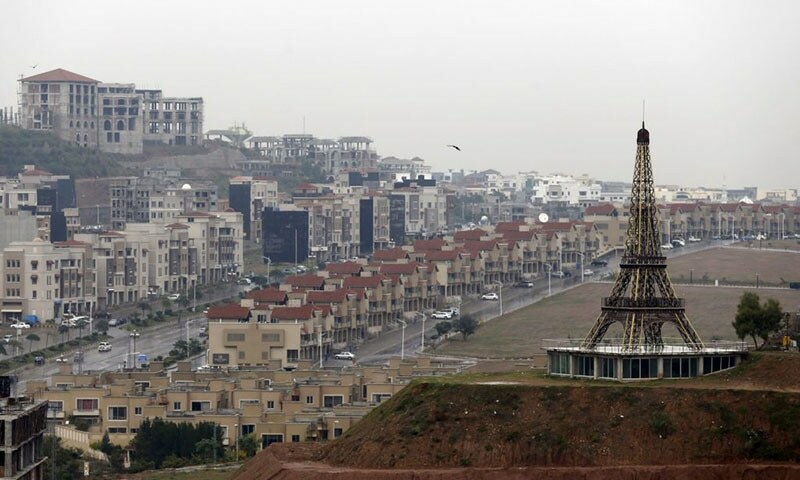 Rethinking urbanisation: What's wrong with development in Pakistan? The Sindh government is trying to impede any development project done by the federal government. Karachi should really be a separate province from interior Sindh. Or governor rule is the best option. In presence of current Sindh government Karachi will not get a penny whether federal government talk or no talk with Sindh government. He gives credit to Musharraf for much here. PPP will not allow any development in Sindh. They will keep Sindh underdeveloped and the people uneducated. This is how they rule. PPP money launder all Karachi funds,they should be kept out of Karachi ! When will it be enough ! Nice article. "It cannot become meaningful without the existence of an autonomous and potent planning agency". They should give Karachi to Shahbaz Sharif to run for year and half, with water and transport issues to solve. He would surely do it in shortest possible time. However corrupt he might be but he has a tendency to finish his projects on time. He got lahore Metro finished in record time, Peshawar is still not finished and there are still cliams of huge embezlement. Bring MQM in for Karachi development. PPP has ruined everything . Feds should work with MQM. It would be so lovely if Karachi got a light rail system that connects different parts of the city. Getting people to use less cars and more public transit is so important. We need to cut down the pollution we create through all the buses and traffic jams if all of us just shared our commuting spaces. Karachi would be a wonderful city if it has good mass transit. Better than Dubai even. @usman, Never.......all the Sharifs should be debarred from politics....they all are corrupt to the core....put them in jail and throw the keys away. @imtiaz faruqui, I totally agree with you. Very good article. Karachi main problem is of ownership. Its down fall started with the shifting of capital to Islamabad.Karachi is free play ground for land mafia and greedy politicians and bureaucrats. No where in the world it as easy as in Karachi to grab government land, cell it , get electric connection and other facilities , get Identity card. Thus each year million people are easily added to city, creating insurmountable problems for local administration. No matter how many articles are written on problem , no matter how many schemes are prepared and packages are announced there will be hardly any change. 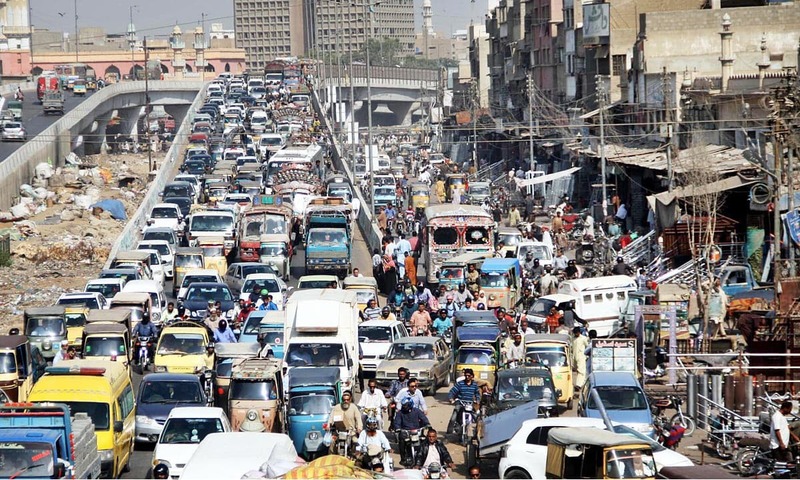 Karachi is not a town it is a country in itself with twenty million ever increasing population. It requires an independent authoritative management which will be possible when Karachi is given status of a province. The way Sindh government is ruining Karachi, is forcing Karachites to bring back MQM in spite of its short coming. @Muneeb, Pakistan has benefited from the economy of Karachi and sorry to say spend the money in Lahore or the Sharif bough bungalows in London. It is high time to make KARACHI great again. Remember Karachi not very long ago was called "city of light" and now it is called city with light sometime. Let's MAKE KARACHI GREAT AGAIN. @Jamshed , I hope people of Karachi realizing this soon. PPP is only for the thieves and looters. Please update the info in your record regarding Dr. Noman Ahmed. It has been over a year now that he became the Dean, Architecture and Management Sciences, NED University.